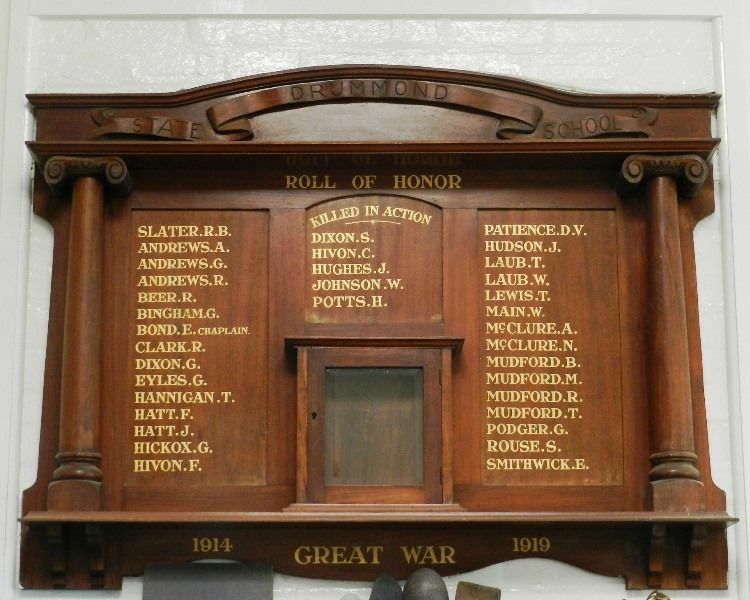 A wooden honour roll commemorates former pupils of the school who served in World War One. The roll was unveiled in 1922 by Colonel Hurry. The honour books are missing from the cabinet on the honour roll.